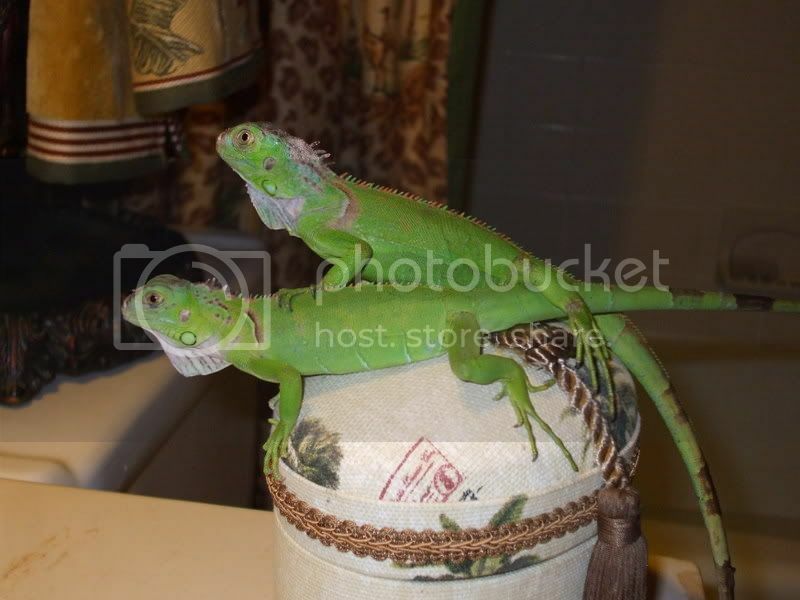 I want my baby Iguana to grow huge!!! Me and Jess love our two iguanas Taco and Goblin! What should i feed them to make them grow faster? Someone told me that you need to feed them crickets. Is this ok? 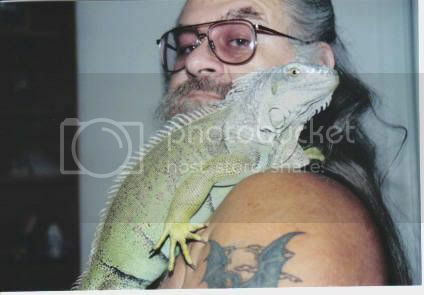 I thought iguanas only eat greens? Please do not feed them any crickets or other animal protein at all.These guys are strict vegetarians. There is some old misinformation out there that they eat bugs as well as greens. It is wrong. They will only get as big as their genetics allow. Just feed a healthy diet, give proper lighting and such. Any kind of animal protein is bad, their bodies are not capable of processing it properly. Everyone is right here. Crickets will make the ig grow faster. The high amounts of protein add a lot of growth juice...but the kidneys are not made for breaking down those high levels of protein. They go into over-drive trying to process it and after about 5-7 years on a high protein diet - the kidneys shut down - renal failure kills the ig. That's a bad way to go - and a shame since they can live up to 20 yrs if cared for properly. So patience grasshopper... ;D Genetics and good care both play parts in the growth pattern of an ig. These questions can help determine if there are any areas in need of any tweaking. Pet stores are notorious for bad information - and if they sold you two together (or even one later knowing you already had one) - they already sent you a red flag signal that they don't have a clue. * UVB source - What do you use for UVB (brand, style and how old is it)? * Thermometer - What do you use to monitor the temps (digital them., aquarium strip, stick-on round analog? * Diet - What foods do they get (list specific items)? * Supplements - Do you use them? If so, what kind? you need to get rid of the wood chips, they can cause impact injuries and they might eat it which might cause blockage. I think your basking temps are too hot...120 cant be good for them, your basking temp should be 95 degrees with the rest of his temp 80-85. 75 should be the temps for at night time. the collard greens are good, but also try to include mustard greens and turnip greens. what do you mean by common fruit? magos are a staple food, which means they can eat it every day, however, something like a banana or an orange isnt something they should have everyday, an orange is very high in acid and can cause some stomach aches. Temps and substrate were addressed in a separate post. For fruits just kiwi, cantaloupe and Strawberries. When i feed them fruit i haft to feed it to them at separate times from the greens because they will just eat the fruit. Other than fruit I just feed the collard greens and raw green beans. Green beans are a good source of protein that’s not animal protein. collard greens arnt enough, you need atleast 3 staple greens in your diet. most people use turnip, collard, and mustard greens. strawberries should mainly be fed for a treat...heres a link to the greet iguana society food chart. its very good and straight to the point on what your ig should and should eat. look it over and make some changes for your igs. You will be responsible forever for what you have tamed..Or Not tamed!!! Go to the post "Whats in your Ig's dish" in this section and you will see what it is that everyone feeds. Variety is thier spice of life!! 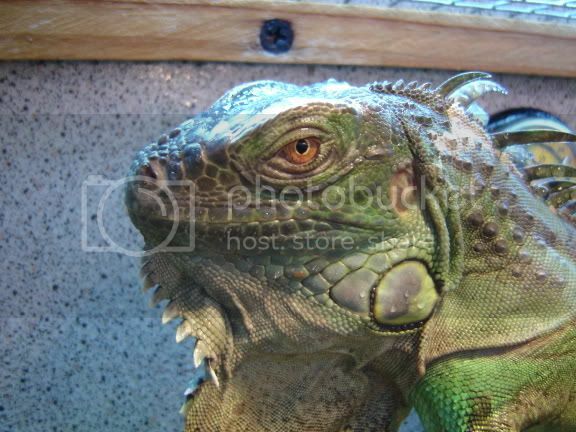 What about the dry iguana food you can buy in the pet stores? Does anyone feed their ig this stuff? very bad stuff, it doesnt have much nurtrients in it. You want a diet thats as closest to their diet if they were in the wild, and they dont eat dry food, or doog food for that matter. Not all pelleted foods are created equal. Yes some of them are trash! Some are downright dangerous to feed due to the animal protien content. The RepCal brand of iguana pellets is good as a diet additive, not the total diet. You still need the fresh greens and veggies. For a youngster like yours I would go with a teaspoonful of the pellets in a bowl of water, soak them for 10-15 minutes and then put them on top of the regular greens a couple of times a week. Soaked in water they are a great way to get extra fluids into the iguana. But by no means are they to be fed as the sole diet.